T&S Environmental offer an Industry leading Asbestos Soil Remediation Service. Our operatives and Management Team are highly experienced in this field and can offer an unparalleled solution in terms of pricing and timescales. 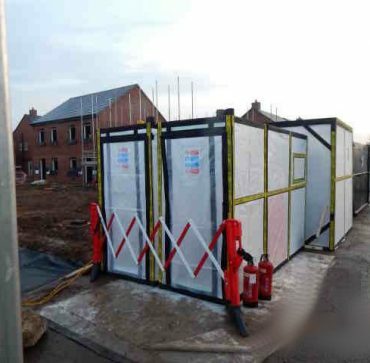 Having completed multiple, complex Asbestos Soil Remediation Works across the UK, T&S are perfectly positioned to bring a swift resolution to your Contaminated Soil Situation. Our industry leading approach is exemplified by the numerous Accreditation and Certification’s held by T&S Environmental. Contact T&S Environmental today on 01375 398768 to discuss your needs. Why Use T&S Environmental for Asbestos Soil Remediation? T&S Environmental have decades of experience in conducting large scale soil remediation projects across Essex, London and the entire UK. Our highly experienced site managers and workmen have performed asbestos soil remediation work for a wide variety of clients including the Ministry of Defence and numerous Local Authorities. Asbestos soil remediation is extremely specialist work, requiring a level of expertise and professionalism not offered by many other asbestos removal companies. T&S Environmental maintain a vast number of high level industry specific accreditations, these can be viewed here. We also were awarded the RoSPA Gold Award 2017 for outstanding safety in the workplace. We work to ISO 9001 and 14001 certified standards. To speak to asbestos soil remediation experts, please call us directly on 01375 398768. We offer industry leading turnaround times on soil remediation projects and due to our size and experience, some of the most competitive rates in the industry.